Highest and Best offer due 8:30pm 9/3/2017... Welcome Home to Blaine. 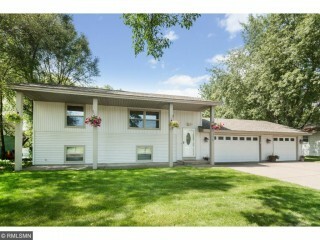 Enjoy this 4 Bedroom Split Level Home. Featuring 2 Bedrooms up and 2 Bedrooms down giving plenty of space. Not 1 Family Room but 2 and Living Room. Do Not Miss Creek Behind ( property goes across), Extra Shed and 3 Car Garage for the enthusiast or for those that have a lot of stuff ( treasures). FYI Brand New Roof Already Installed for You.